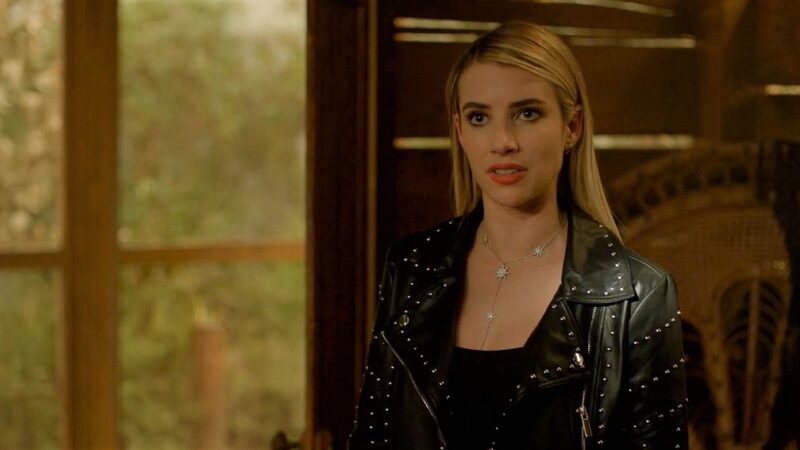 Julia Roberts' famous niece joined then-fiancé Evan Peters in Coven, playing mean witch Madison Montgomery, a role she reprised in Apocalypse. She also starred as grifter Maggie Esmerelda in Freak Show and guest-starred as journalist Serena Belinda in Cult. This Glee alum starred in four consecutive AHS seasons, playing hotelier Will Drake in Hotel, reality show producer Sidney Aaron James in Roanoke, psychiatrist Dr. Rudy Vincent in Cult, and warlock John Henry Moore in Apocalypse. 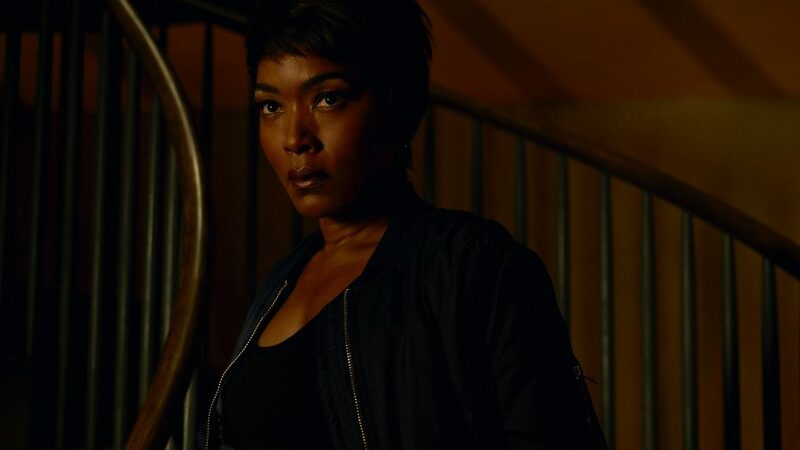 The Black Panther star guest-starred as voodoo queen Marie Laveau in Coven, reprising the part in Apocalypse. She also played three-breasted sideshow act Desiree Dupree in Freak Show, movie star Ramona Royale in Hotel, and Lee Harris reenactor Monet Tumusiime in Roanoke. 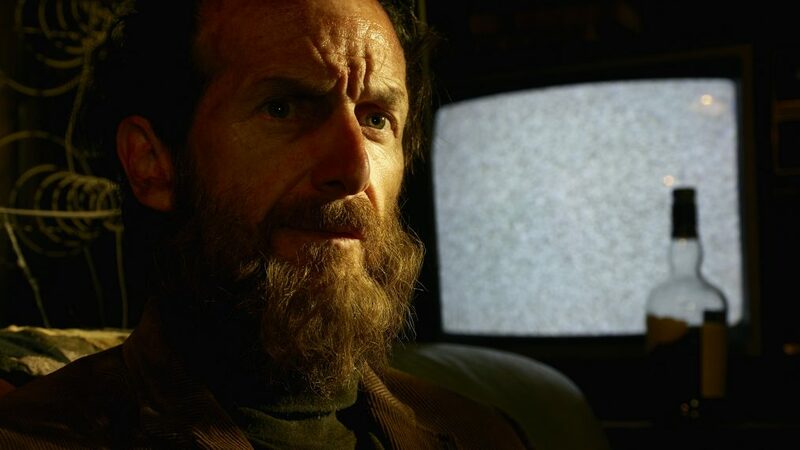 The Whispers star has appeared in all but one AHS season so far, playing socialite Nora Montgomery in Murder House, devilish nun Sister Mary Eunice in both Asylum and Freak Show, swamp witch Misty Day in Coven and Apocalypse, real-life serial killer Aileen Wuornos in Hotel, and reality TV subject Shelby Miller in Roanoke. 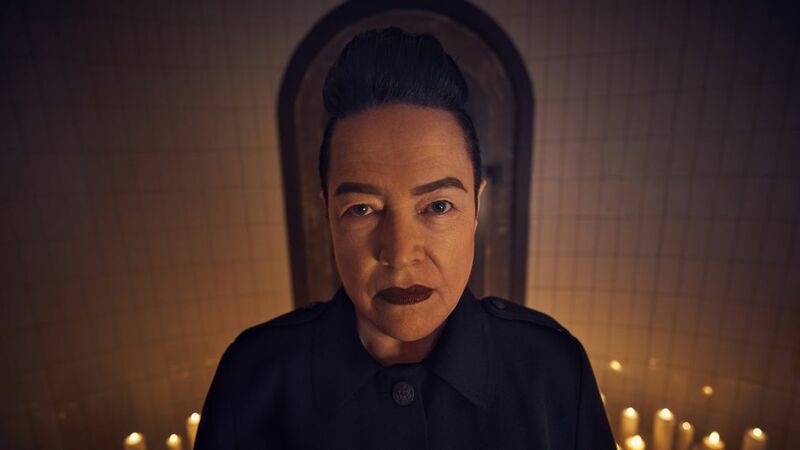 This Six Feet Under alum made her AHS debut as housekeeper Moira O'Hara in Murder House, then portrayed angel of death Shachath in Asylum, fashion-obsessed witch Myrtle Snow in Coven, socialite widow Gloria Mott in Freak Show, a Moma Polk reenactor in Roanoke, and SCUM alum Bebe Babbitt in Cult. And in Apocalypse, she brought back both Moira and Myrtle! Lange earned two Emmys and two additional nominations for her tenure on the show, during which she portrayed neighbor Constance Langdon in Murder House (a role she reprised in Apocalypse), head nun Sister Jude in Asylum, Supreme witch Fiona Goode in Coven, and sideshow leader Elsa Mars in Freak Show. This Titanic alum played sadistic socialite Delphine LaLaurie in Coven and Apocalypse, bearded woman Ethel Darling in Freak Show, hotel manager Iris in Hotel, Butcher reenactor Agnes Mary Winstead in Roanoke, and android mama Miriam Mead in Apocalypse. O'Hare landed an Emmy nomination for his role as the Murder House's previous owner Larry Harvey, then returned to the franchise as mute butler Spalding in Coven, con artist Stanley in Freak Show, glamorous bartender Liz Taylor in Hotel, and Elias Cunningham portrayer William Van Henderson in Roanoke. 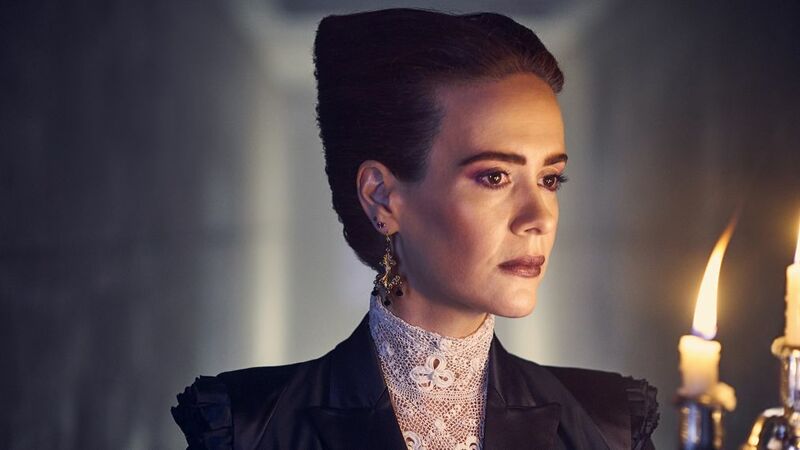 The queen of AHS had a small part as psychic Billie Dean Howard in Murder House, a role she'd reprise in both Hotel and Apocalypse. In Asylum, she starred as journalist Lana Winters, a role she'd reprise in Roanoke. In Coven, she starred as future Supreme Cordelia Goode, a role she'd reprise in Apocalypse. In Freak Show, she played conjoined twins Bette and Dot Tattler. In Hotel, she played ghost addict Sally McKenna. In Roanoke, she played Shelby Miller reenactor Audrey Tindall. In Cult, she played haunted mother Ally Mayfair-Richards and real-life Charles Manson associate Susan Atkins. And in Apocalypse, she played Outpost 3 matriarch Wilhemina Venable. Phew — 11 characters in all! 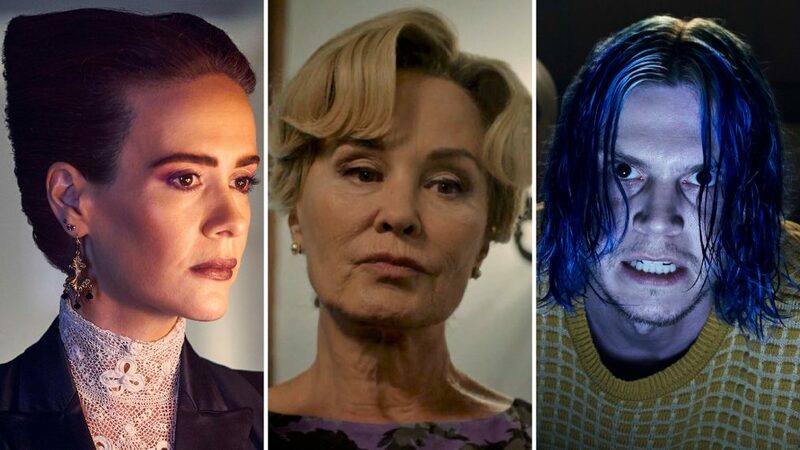 American Horror Story's retiring king played school shooter Tate Langdon in Murder House and Apocalypse, wrongly accused murderer Kit Walker in Asylum, reanimated frat bro Kyle Spencer in Coven, "Lobster Boy" Jimmy Darling in Freak Show, murderous hotel designer James March in Hotel and Apocalypse, Edward Philippe Mott reenactor Rory Monahan in Roanoke, and nuclear scientist Jeff Pfister and hairstylist Mr. Gallant in Apocalypse. Oh, and he played seven characters in Cult alone: fictional cult leader Kai Anderson; real-life cult leaders Charles Manson, Marshall Applewhite, Jim Jones, and David Koresh; pop artist Andy Warhol; and, yes, Jesus Christ. 16 characters across the show so far! The American Horror Story repertory is losing one of its star performers: Evan Peters, one of the only actors to appear in all eight seasons of the FX horror anthology so far, has opted not to appear in the forthcoming ninth season. "I'm gonna sit this one out," he revealed recently. Peters' departure is especially surprising, considering he's credited in all but two of the show's 96 episodes so far. So who could surpass his episode count in Season 9? And where do the other actors rank? Check out 10 AHS stars' current tallies — in ascending order — in the gallery above.